For the village in Hunedoara County, see Râu de Mori. 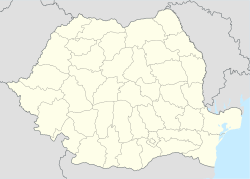 Brazi is a commune in Prahova County, Romania. It is composed of six villages: Bătești, Brazii de Jos, Brazii de Sus (the commune centre), Negoiești, Popești, and Stejaru. In 1948 it had a population of 1,530, and in 2011 8,094. This page was last edited on 28 November 2018, at 22:50 (UTC).